Like many education bloggers, I tend to write less frequent posts but have a lot of drafts that I am working on. It often takes some time to fully develop the ideas in these posts so they are ready to publish. So managing my draft posts is important to me. I also use WordPress in my professional development activities with teachers, helping them to use it as a tool for their own reflective practice as well as explore how they might use it on their own teaching. They too need to be able to manage drafts effectively and easily. However, using the old WordPress dashboard interface (up to version 2.6) to access your drafts was a little clunky. And when working with teachers, I found the interface to be non-intuitive and a barrier to their effective use. The new version puts a list of recent drafts right onto the dashboard page – this is a great improvement for anyone like me who has lots of draft posts on the go at once. And it will remove a barrier for teachers learning to use a WordPress blog as part of their own professional development or in their courses. It’s a simple change but a significant improvement. Earlier versions had a problem with the dashboard ‘External links’ block – any changes to the configuration were not properly saved. I’m pleased to see this is now fixed. The Flash-based image uploader tool no longer works as expected on Mac running Firefox. When the image is uploaded, the ‘insert into post’ button does not work the first time round. The fix is to use the browser uploader tool, or insert a new image in two stages: ‘insert into post’ seems to work fine with images that have previously been uploaded. Because the dashboard screen layout is slightly different, older plugins that write text to admin screens need a little tweaking to display correctly. For example, I had to change my Scottish Proverbs plugin slightly – luckily, the version of the Hello Dolly plugin distributed with WordPress 2.7.1 provides a clear guide to exactly what needs to be changed! 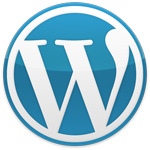 All up, WordPress 2.7.1 is a ‘must-have’ release and incorporates a much more user-friendly dashboard interface. It’s an excellent example of how effective the open-source approach can be in developing great software tools. This entry was posted in blogging, Tools and tagged blog, education, interface, user-friendly, wordpress, writing on February 23, 2009 by Paul Left.